Have you ever noticed the best clients are the ones that come into the process knowing exactly what they can get from working with you and recognize the benefit of what you do? They are ready to make a decision and they know exactly what they want. It’s a lot less stressful and a lot more profitable than working clients who aren’t sure what they want. How would you like to make sure that everyone that comes through your businesses’ virtual door knows what you do, understands the value of it and appreciates what you produce for them? By acting as a “teacher” for your potential clients, you can do just that. The more a client knows about the value of what you do, and how to shop for what you do, the less they’ll have “sticker shock” when the proposal comes. Here are three ways to educate your clients before the proposal to improve your acceptance rate. 1. Use your blog to your advantage. Regular blog posts (or other content resources) show your clients that you’re an expert at what you do. When it’s clear that you know what you’re talking about, it becomes easier for them to trust you, your work and the prices that you’re quoting. Think about some of the biggest questions that clients have regarding your business or services. Work those into regular blog posts to showcase your knowledge and help them with the buying process. 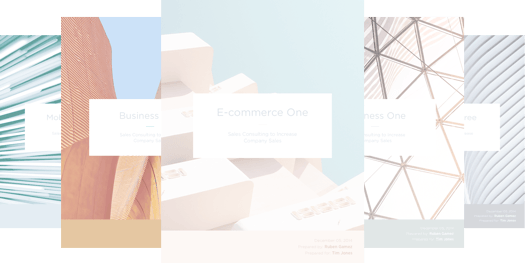 You can also roll these same topics into bigger content resources like white papers, ebooks and slideshows to offer on your website. Jason Amunwa does this perfectly on his blog “The Zest.” As a marketing consultant *and* web designer, his blog is a platform for him to explain both topics, show off his experience and provide excellent information to his Jaffey Designs prospects. 2. Make use of your web pages. Many service professionals drop the ball when it comes to creating a website that really speaks to their potential clients. 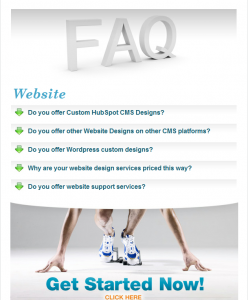 In addition to showcasing a portfolio and providing your contact information, your website should also have an FAQ page that summarizes the most common questions. This helps shorten the learning curve for clients and gives them information that they need to make a decision on whether or not to contact you. Kuno Creative offers a detailed website design FAQ for clients, and features multiple pages that cover other services that they offer including white papers, blogging and social media. Reading through their site, a client knows exactly how Kuno creative can help. Notice the call to action at the end of the FAQ that prompts people to reach out and get in touch. 3. Offer a free consultation before sending a proposal. Always conduct an interview or have a conversation before delivering the proposal. This gives you a chance to answer their detailed and specific questions about their needs. You can clear up any misconceptions about what you offer, get an idea of their familiarity with your type of services and be able to create a proposal that really targets their needs. 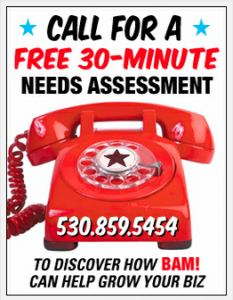 For example, Nikolas Allen of BAM Small Business Consulting prominently displays his 30-Minute Needs Assessment on his website. This allows potential clients an opportunity to understand his services and gives him the chance to answer any questions. Taking the role of educator on your website and in your communication with prospects will help both parties immensely! Do you take steps to educate your clients? Share your ideas below.